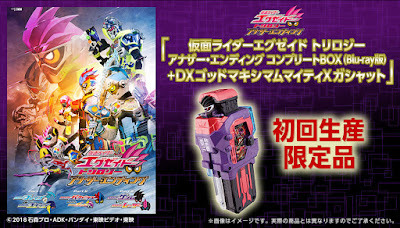 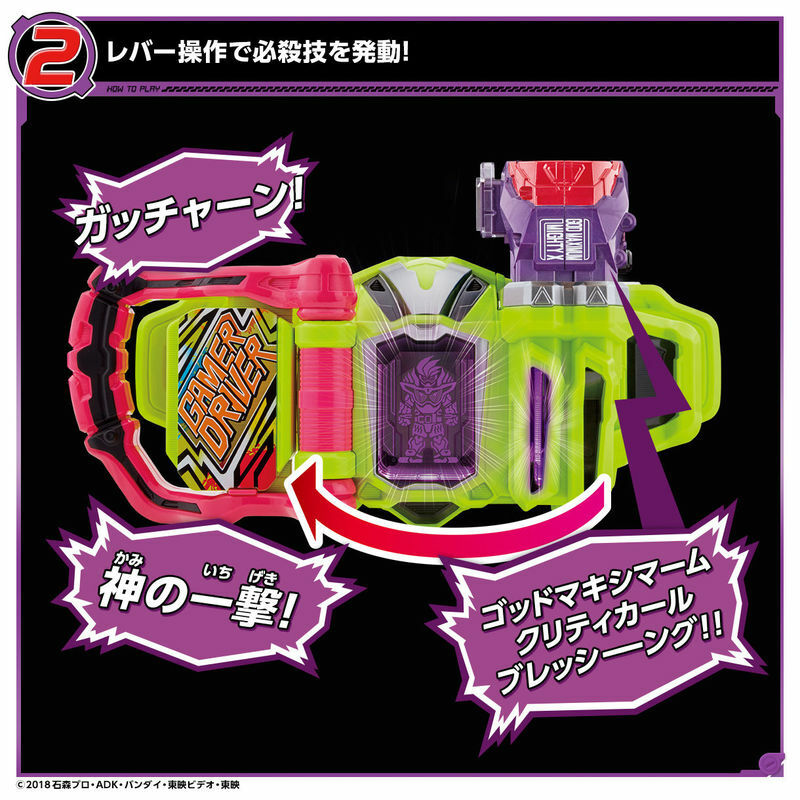 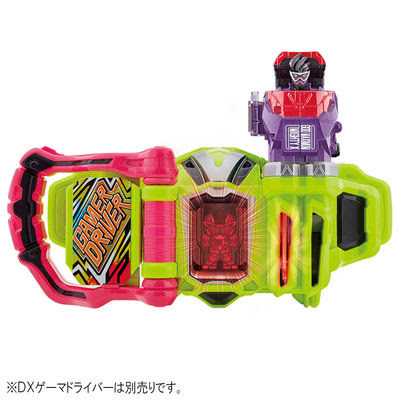 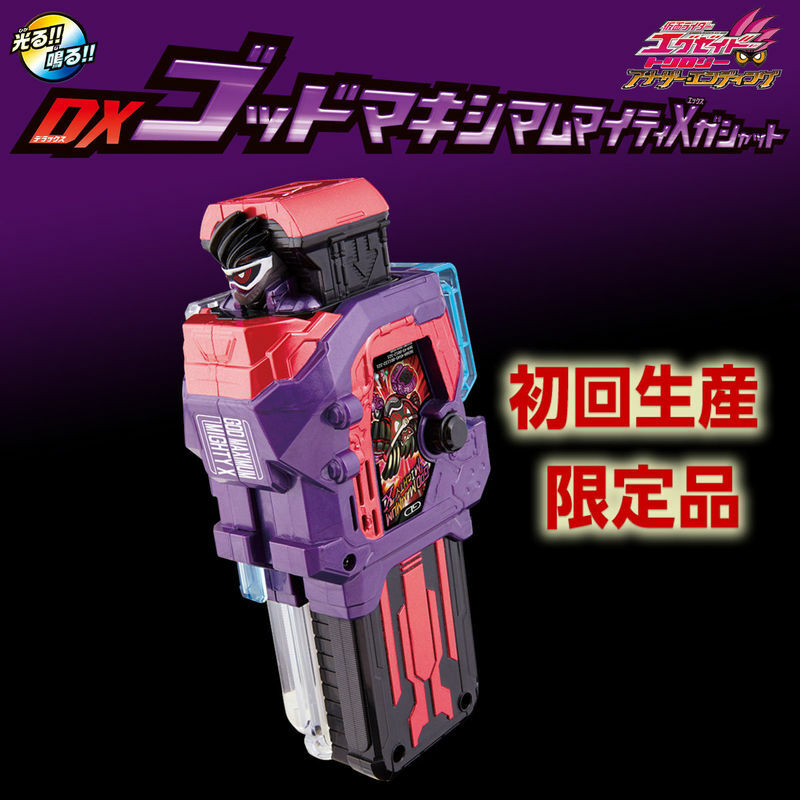 Prepare to leave your humanity behind and reach godhood as Premium Bandai's website finally posted the official images for the DX God Maximum Mighty X Gashat from the upcoming Kamen Rider EX-AID: Another Ending movie trilogy. 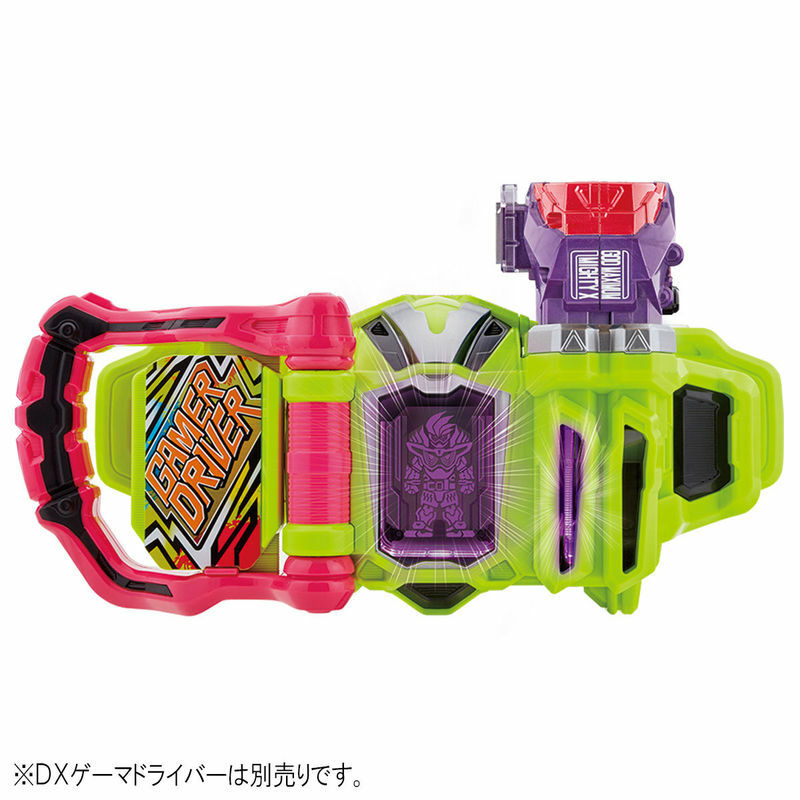 This Genm recolored version of the Maxium Miighty X Gashat is going to be used by the memelord to transform into Kamen Rider Genm God Maxium Gamer Level Billion. 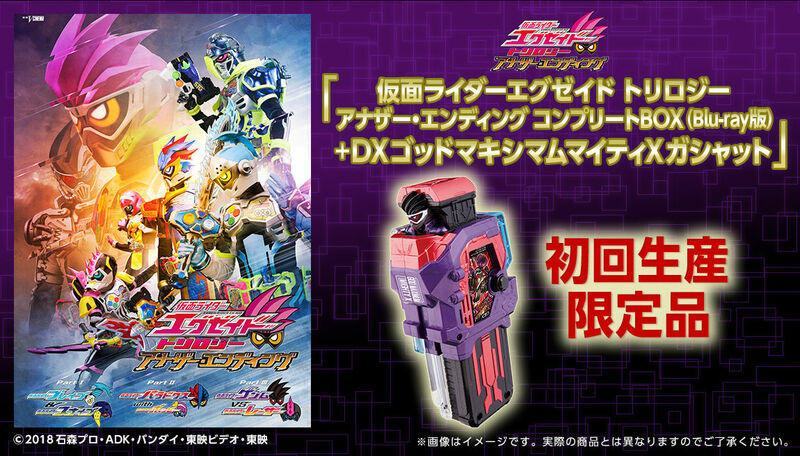 Bundled with the blu-ray box set of the Kamen Rider EX-AID: Another Ending trilogy, it will be released next year, April 11, 2018 and will cost 21, 600 yen. 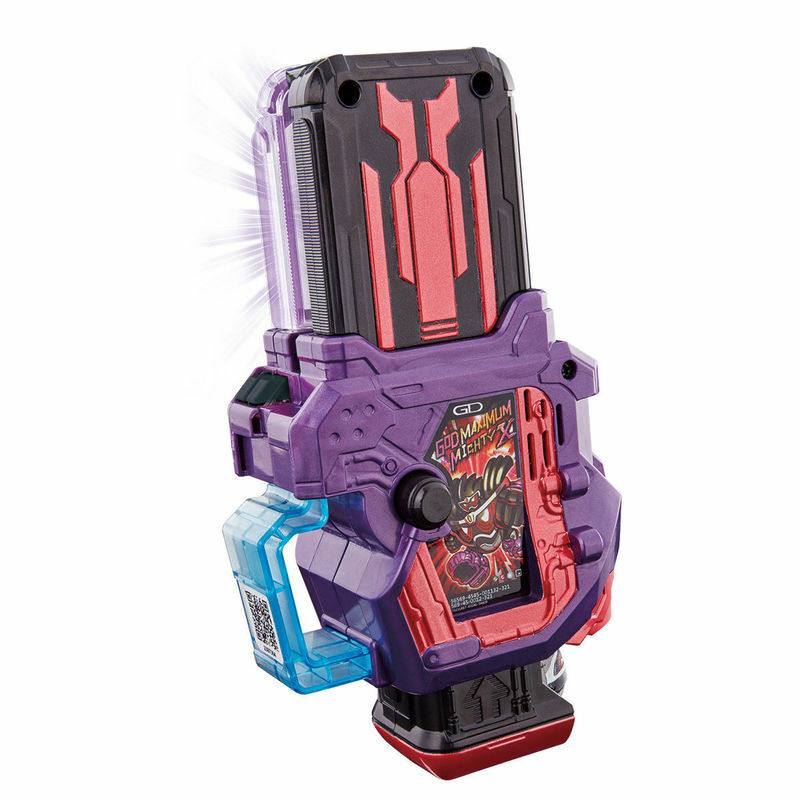 That's just too much. smh.